Here at The Bell Inn, we offer delicious food, simply prepared, using the freshest locally sourced produce. Enjoy our menu in one of three dining areas to fit your mood! Choose from our relaxed, traditional bar or light and airy Garden Room overlooking our beautiful New Forest Garden. Or choose the Oak Room, our quintessentially country farmhouse dining room. Food was very delicious and the service was very good. Not all the information that I had communicated on the phone the day before ( about a high chair) had been passed on though. A welcoming hotel, excellent menu, comfortable room. One minor quibble - bedroom was a little overwarm. Yet another fabulous Sunday lunch. Booked a table for a Sunday afternoon, it was easy to book and I explained that we had a dog so we were booked to eat in the bar area. The table was a good size and the bar area was comfortable and had a nice atmosphere. The staff were all very friendly and the service was quick and efficient. Now on to the best part of our visit, the food!!! We all had a roast, three of us had the beef and one of us had the chicken. All of us were very impressed with our selection and the vegetables were just as good! The portion sizes were good and the honey glazed carrots were my favourite! Overall the visit was perfect and after we ate, we sat and had another drink on their comfy sofas with the dog. The bar staff came up and gave him some affection which he loved and we left feeling very relaxed and impressed. The food was great value for money and we would definitely come back! Thank you! Bell Inn is my favourite place to go for a meal. 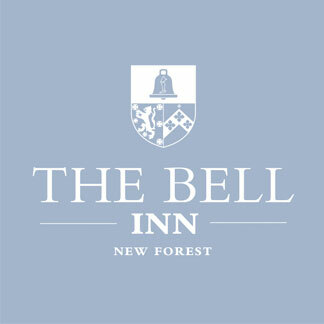 We’re about 1 and half hours drive away and find any excuse to come to area, have a day out in the New Forest and enjoy the wonderful food and atmosphere at The Bell Inn. Me and my husband (and our dog) were joined by two friends on this occasion to share what was a brilliant evening. Thank you to all the staff for always accommodating us. Expensive for what we got. Had afternoon tea and I thoroughly enjoyed it. Once again we had a lovely time and for anything special or for seeing special  friends we will always come to The Bell, wonderful food and brilliant staff from reception to front of house and I,m sure that the chefs are just as fab! One of our favourite places. I had your white onion & gruyere cheese soup for starters - please could I have the recipe, it was absolutely delicious. Such a lovely atmosphere in the bar and restaurant. Friendly and efficient service from a lovely team, all topped off with delicious food with lots of exciting flavours and beautifully cooked and presented. Will definitely be returning! Always enjoy coming here. Great food and great service in great atmosphere. Great service & friendly staff as always! Food was great although my spinach risotto was really pea risotto...a little disappointing really. Service was awful, the food was disappointing, the roast potatoes were rock hard. Although I mentioned this when they eventually came to collect our plates, there was no offer even of a complimentary coffee as you would have expected.